Local Wi-Fi is available. You should ask to the keyholder for the password. The area host many local and traditional fiestas and outdoor markets during the spring - summer - autumn seasons. You could visit our website and contact us by telephone or through spain-holiday,com web (saved and secured). We have walked for 6 days in oktober along the Costa Brava Way, starts in France and goes near the coast line down in Spain. The house is very complete with everything you need and has a beautiful view over the sea. The beds are good fine bathrooms. We had a wonderful time and wil certainly come back here. The pictures of this Colera villa were very promising. Although we know a holiday villa is not quite 'home' all five participants of our holiday party agreed that the villa needs a big intervention/investment to meet its advertised profile. The shower facilities (hardly warm water), the lame washing machine, the old and mouldy furniture, the untended dried up garden complete with bags of cement for rebuilding purposes and the absence of wire blinds against the nasty mosquitos, did not add up to a nice comfortabel stay. On the other hand, the spot on top of the hill was nice and quiet nearby a perfectly beautiful little bay, the view from the terrace ever so magnificent and the absence of wifi was very relaxing. We loved this house and the whole small village! It's quiet and peaceful, house is large and with 3 balconies! 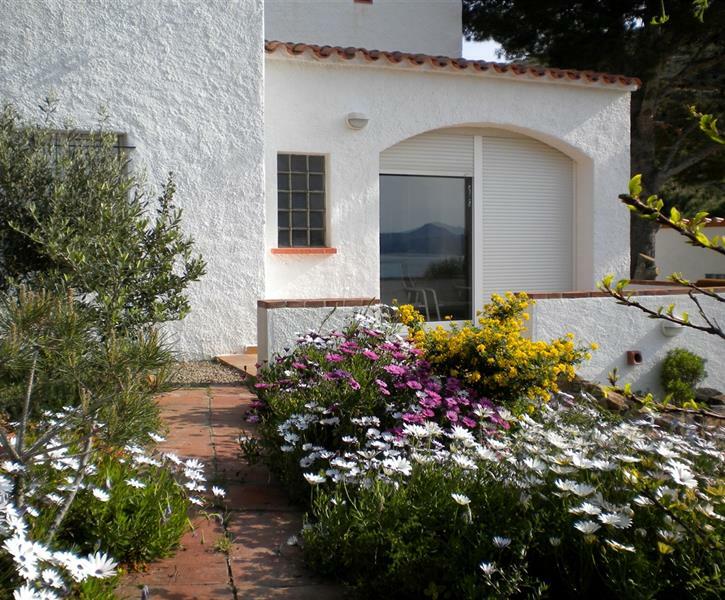 Has a lovely garden with flowers and bees, stunning view to the sea..It's only 250-300 metres from the sea!!! Superb!! We are in love with this house and will go again and again! The whole holiday was like in heaven!!! The house is beautiful and spacious- I don't know if there is anything you need to take with you when you go there...The kitchen is full of pots, cups, mugs, etc that there is nothing you would need extra at all (we were cooking at home all the time). The upstairs 'kingy king' size bedroom is gorgeous with lovely views to the sea and it's own bath/shower room/ toilet. I would highly recommend this house for holiday as it is absolutely heavenly lovely place!!! We will go there again and again!